Employee advocacy, social selling and influencer marketing are becoming increasingly popular and common strategies for brands to reach and share content with their target audience. However, they are still commonly interpreted and operationalized as totally separate tactics that in many cases sit within different teams. But when we take a step back and consider what each of these tactics have in common, it becomes apparent that people, the influence they have and brands’ lack of are what make each so effective, with content being the glue for each strategy. So why should we integrate them and how can we do it? 1) Marketing are experts at marketing, but are they experts at what you do? In most cases, influencer marketing is led by the Marketing (including Social Media & Digital), PR or Comms teams. Now this is all well and good on a strategic and activation level, but your marketing team may not be experts at what your organization does. Marketing are great at taking specialist information, simplifying and turning it into exciting content, but are they able to to effectively engage and build meaningful relationships in real-time with your industry influencers? On the flip-side of this, your employees are the ones that are behind the everyday and are experts at what they do, so will be much better placed to build relationships with well aligned influencers. The below visual from Eleldman’s 2019 trust barometer demonstrates this really nicely. Now it doesn’t take complicated math to realize that if we open up the program beyond just the marketing team, to include more employees, we can build more relationships, much quicker. For example, if you have a marketing team of 5, and assume each member of the team can build relationships with a maximum of 10 influencers, we hit a plateau at 50 influencers. If however, we open up the program to include 200 employees within the wider organization, each of which being focused on building relationships with 10 influencers, we can build relationships with 2,000 influencers. To reiterate our first point too, given that your employees are experts, they’ll be able to build relationships much quicker and more effectively than marketing, so this number could be even higher. With the above said, connecting your employees with well aligned influencers will help your employees grow their profile and online influence, all while helping your influencers much more effectively become true advocates of your brand. More on how this works here. We know that branded content is no longer trusted anywhere near as much, and that consumers are turning to social media and people to make up their mind before they buy from a brand. But who writes the branded content? Marketing. So why are brands relying just on the marketing team to create content and build relationships with influencers? 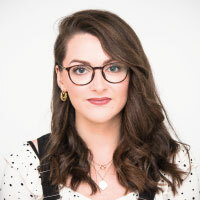 Brands, and marketing, are of course going to sing their own praises and that’s why as consumers we’ve learnt to take branded content with a pinch of salt. But when your employees are sharing their own content, insights and expert opinions – that’s going to have real impact. Employees collectively have 10 x more reach than brand handles alone, so not only are you reaching much larger audiences when your employees share your content, but you’re also gaining much more engagement, trust and influence. Content shared by employees gets 8 x more engagement than when shared on brand handles and is 25 x more likely to be re-shared. When employees are creating their own content and collaborating with their assigned influencers, we can expect to see these numbers even higher. The modern buyer journey is becoming much longer and more complex. Customers are doing lots of research on social media and reading online reviews before committing to buy, so that when they’re actually speaking to sales, they’ve already made up their mind. In fact, 85% of customers seek out expert content when considering a purchase and 84% of the C-Suite use social media in their decision making process. So it’s more important now than ever to make sure that you’re influencing potential customers as early on as you can in their journey. On top of this, leads generated by employees are 7 x more likely to convert. Both employee advocacy and influencer marketing typically enter the scene after the content has been created; brands want to amplify their branded content and reach new audiences, so they turn to influencers and employees. This is very much a broadcasting model that does not truly reap the benefits of influencer marketing and employee advocacy. Sure, it’s still a big part of why influencer marketing and employee advocacy are so great, but it totally fails to recognize the knowledge, insights and influence that employees and influencers have. Let’s talk through the integration model. Identify your internal Subject Matter Experts (employees) that would like to participate in a program (more on selling in the ‘what’s in it for me’ and social media training & enablement in a later blog post). Map your employees according to their employee personas, based on their level of social activity and network size. 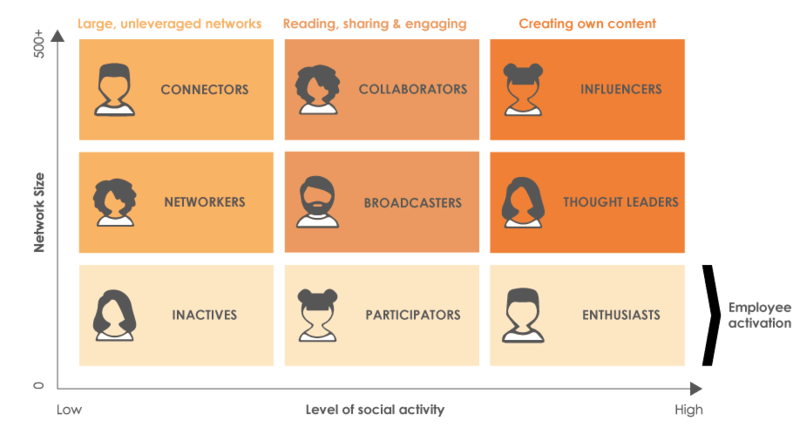 Your collaborators and broadcasters will be prime for connecting with industry influencers, and your employee influencers and thought leaders will be prime for creating their own thought leadership content. Map and connect your employees with well aligned influencers. Branded content: content that is hosted on your owned media channels, such as blog posts, white papers, webinars and videos. Influencer content: content where you’ve had influencer contributions (e.g. an influencer quote in a piece of branded content or employee content), or you’ve collaborated with an influencer (e.g. a webinar or a white paper). This will organically drive content shares with the influencer community. For influencers, this gives them content to populate their feed and showcases their level of expertise, and on a brand level this will help you reach new audiences, which, if you’ve identified the right influencers, should be aligned with your target audiences. Employee content: topical thought leadership content created by your internal influencers and thought leaders, which should also include contributions from influencers, to drive organic content shares. At this stage, your employees share branded, influencer and employee content with their audiences, and direct to influencers that they have been building relationships with. This could be as simple as tagging the influencers in their social media posts, or sending an email / DM to the influencers with the content. It is worth noting here that employees are far more likely to share branded content that is engaging and topically relevant; they’re also far more likely to share content written by influencers and their employee peers. 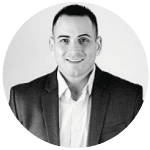 At this stage your social sellers will also share your content direct with their prospects, but also with influencers that are relevant to their prospect, as part of a broader ABM (Account Based Marketing) strategy. Social sellers sharing content written by your internal Subject Matter Experts and by key industry influencers will hold much more value and go much further in influencing the buyer journey. The total number of employees in the program – has this increased? Have employees been proactively asking to join based on their peers’ success? The progress made by employees in terms of growing their audience size and level. From here you can learn what is working and what isn’t working, to ultimately do more of what is working to scale up the program. You can create case studies based on both the program success and employees’ success to get more buy in from your senior leadership and employees, to enable you to create more content and build relationships with more influencers. 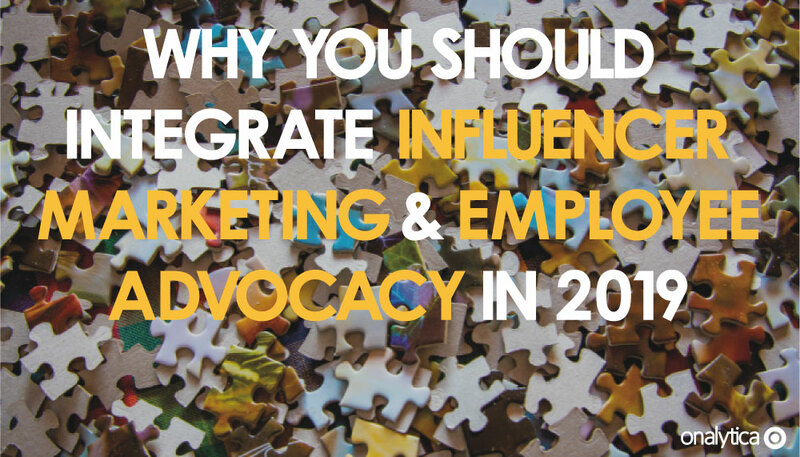 Convinced that you should be integrating your influencer marketing and employee advocacy in 2019? Click below to get in touch!